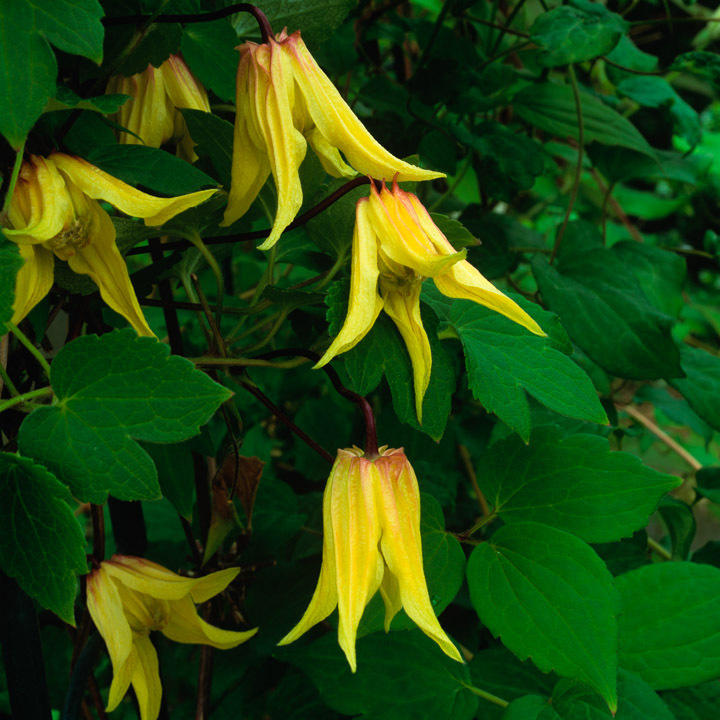 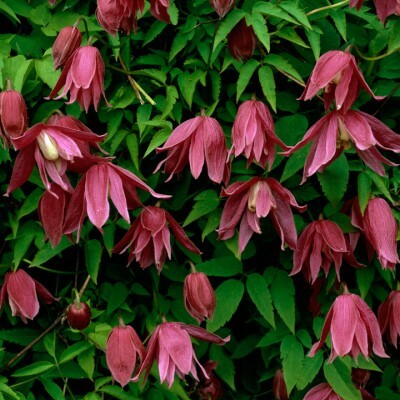 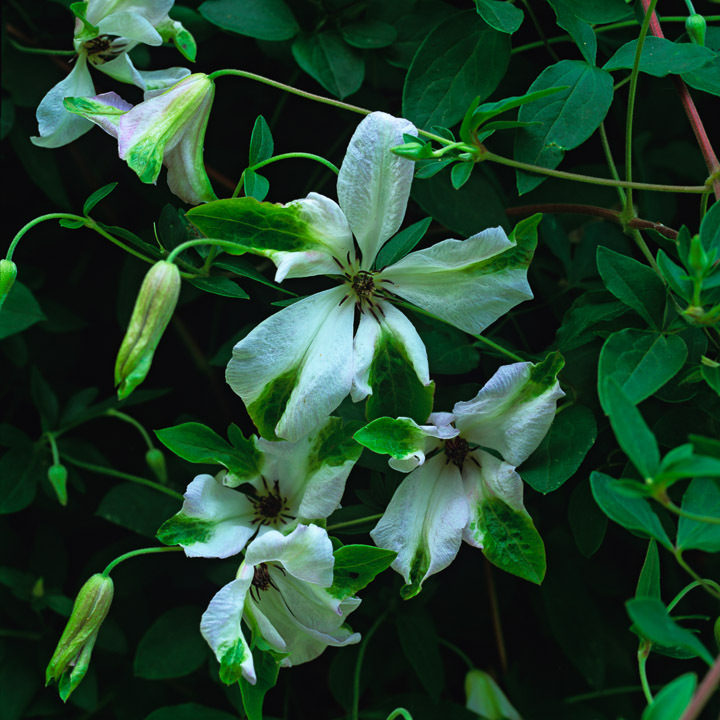 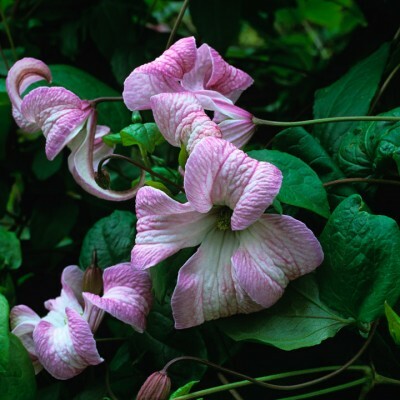 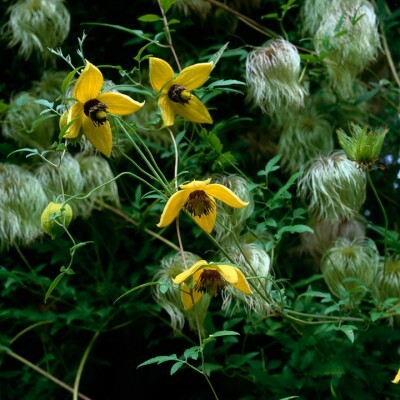 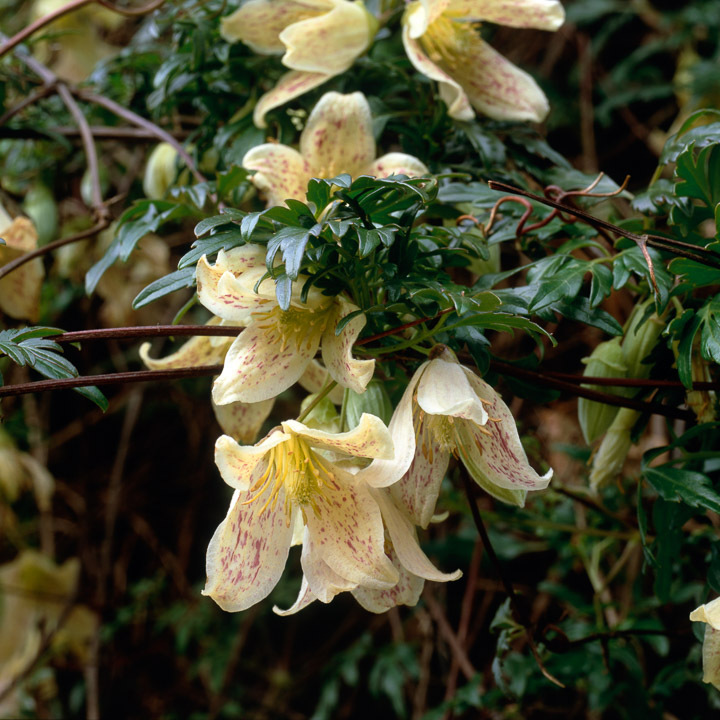 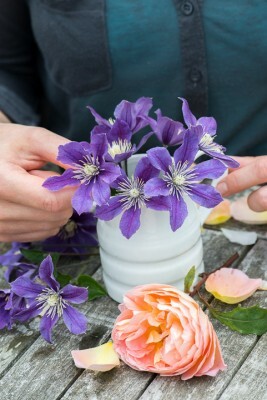 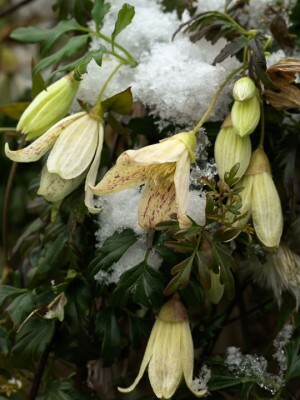 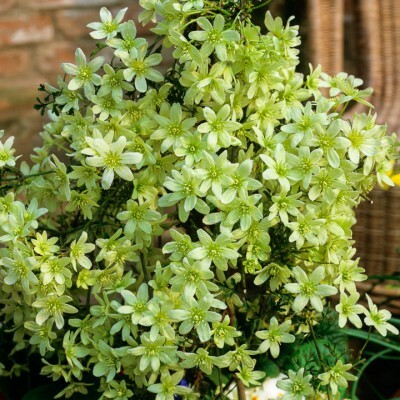 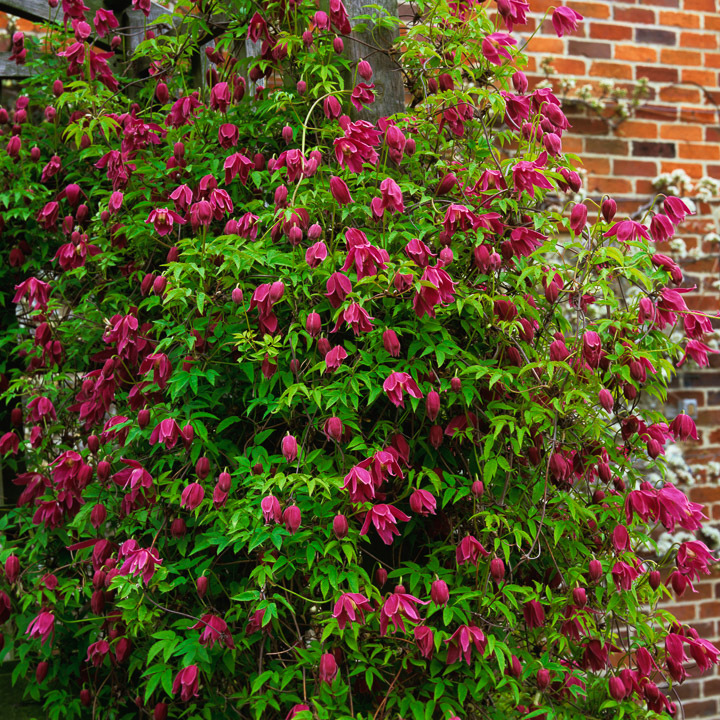 Members of the large family of clematis, loved for their scrambling clusters of gorgeous flowers, bloom throughout the year. 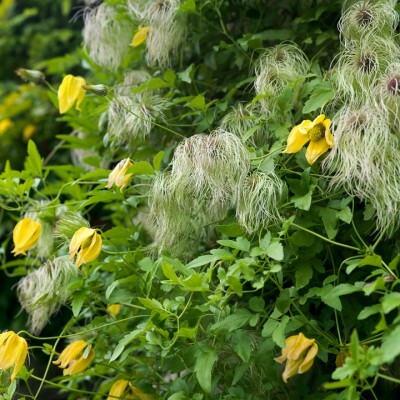 They are a diverse bunch, varying from winter’s feisty Cirrhosas or early-flowering Alpine varieties, to summer’s extrovert charmers and autumn’s dizzy Tanguticas followed by fluffy seed heads, inspiring the common name of ‘old man’s beard’. 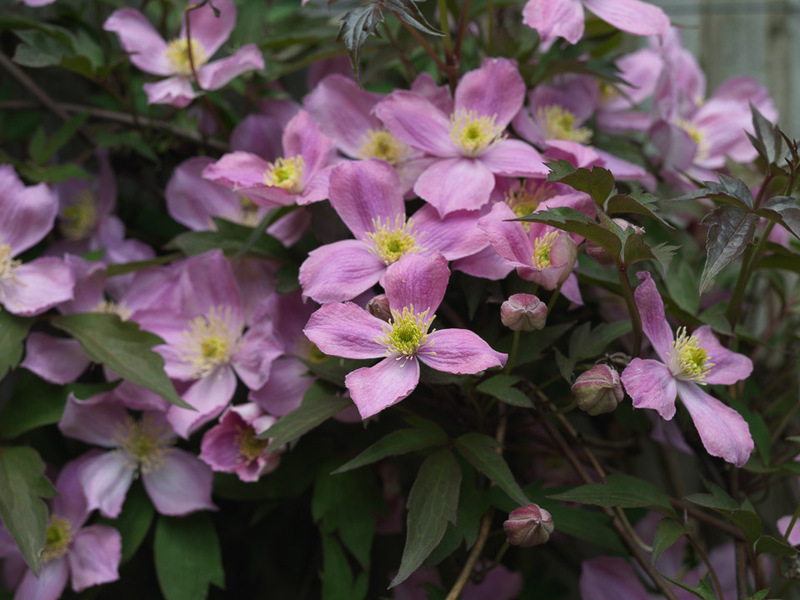 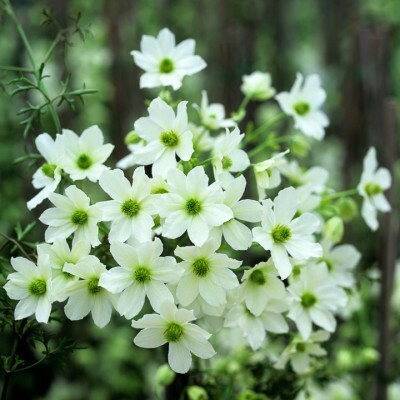 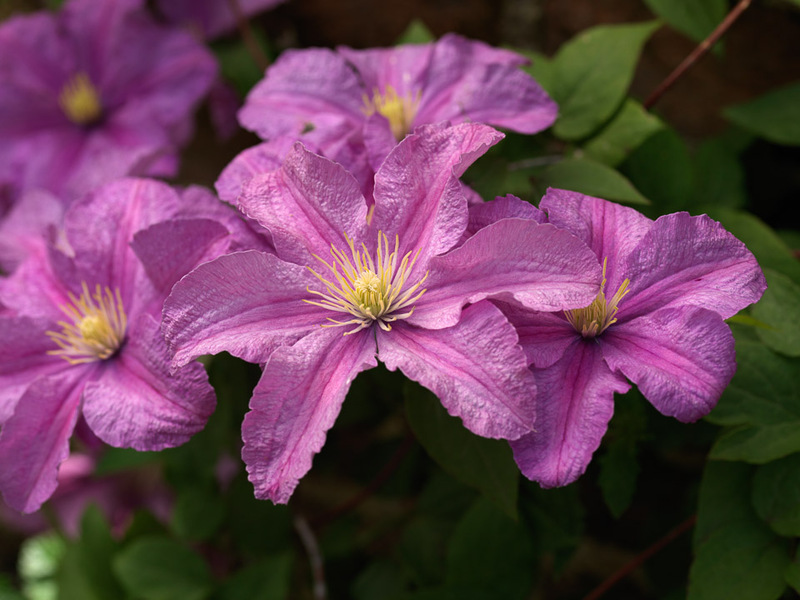 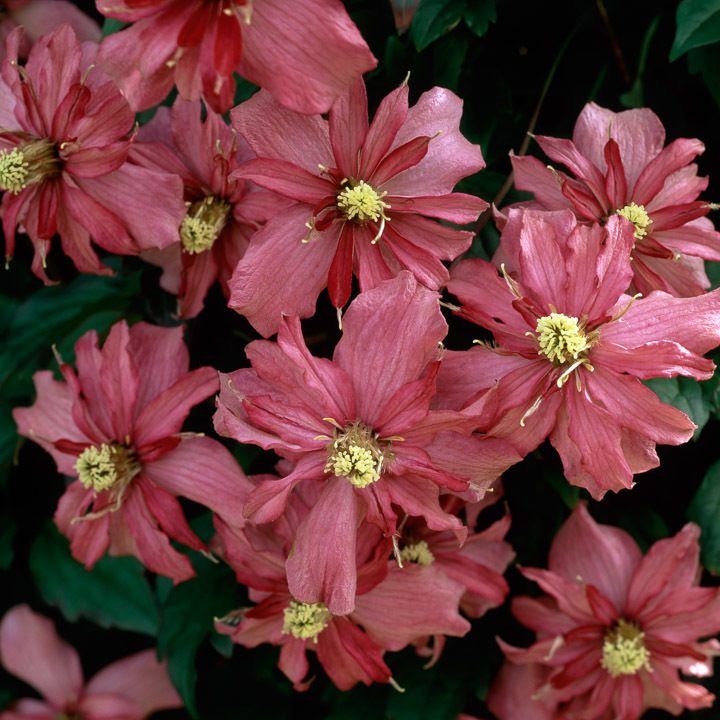 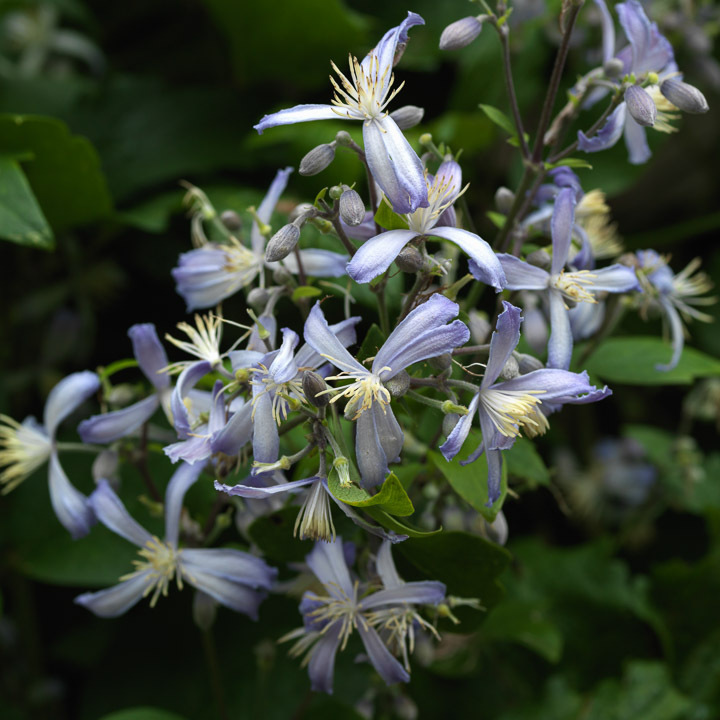 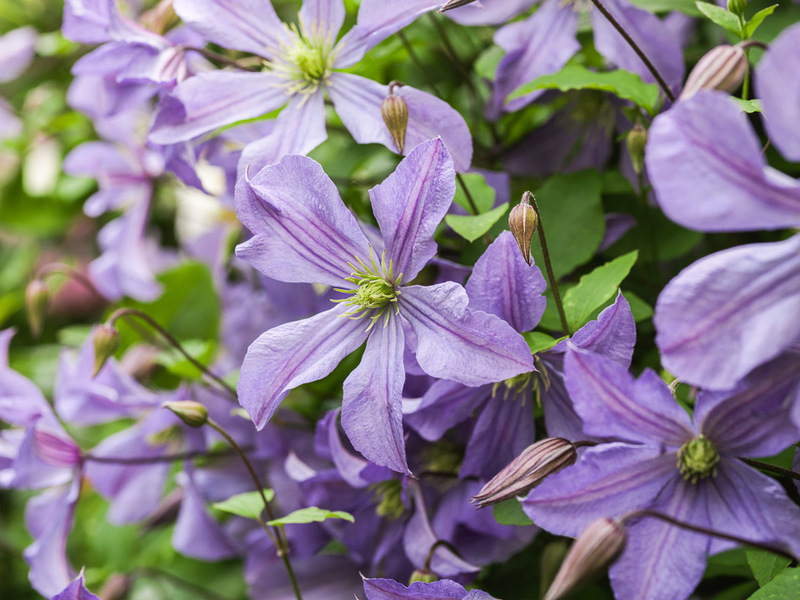 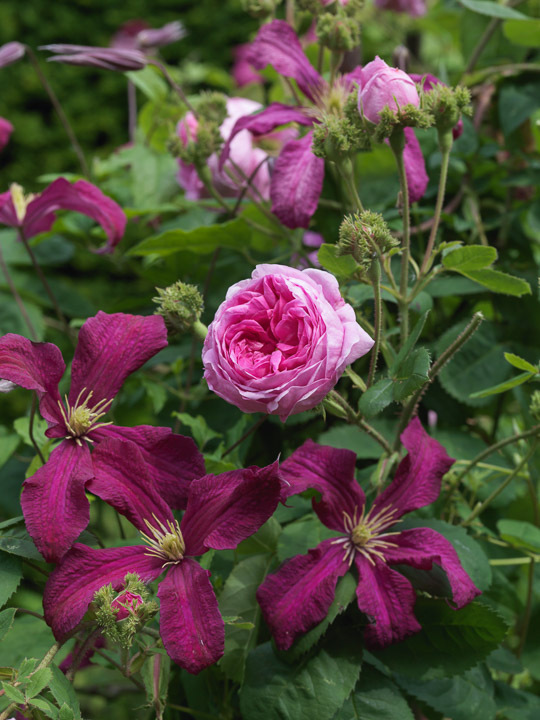 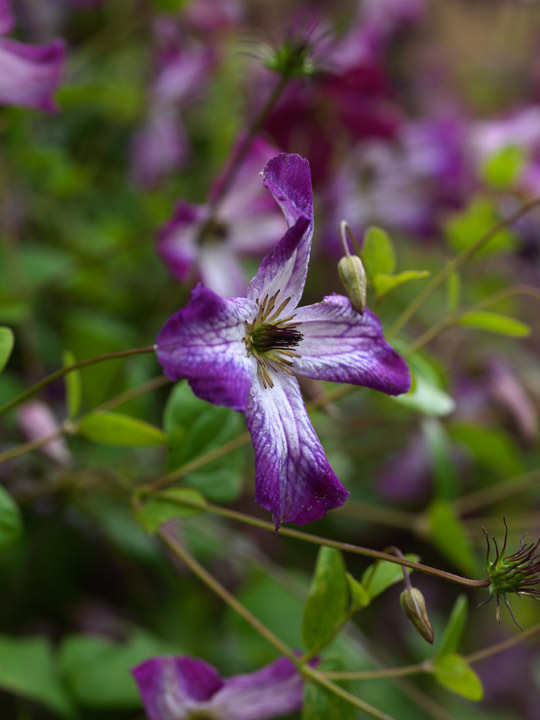 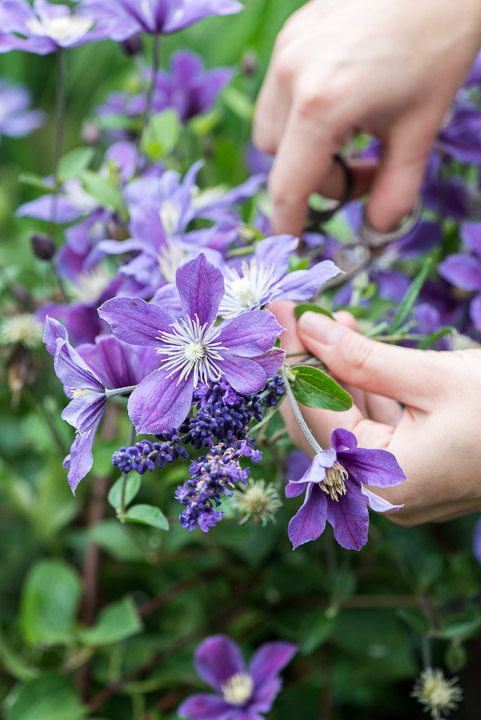 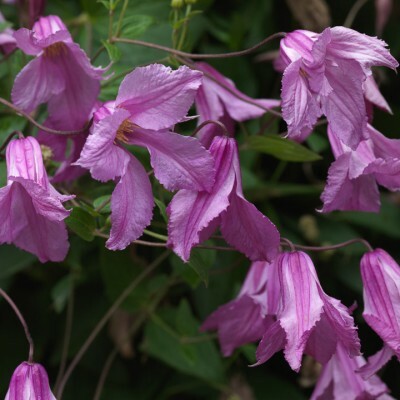 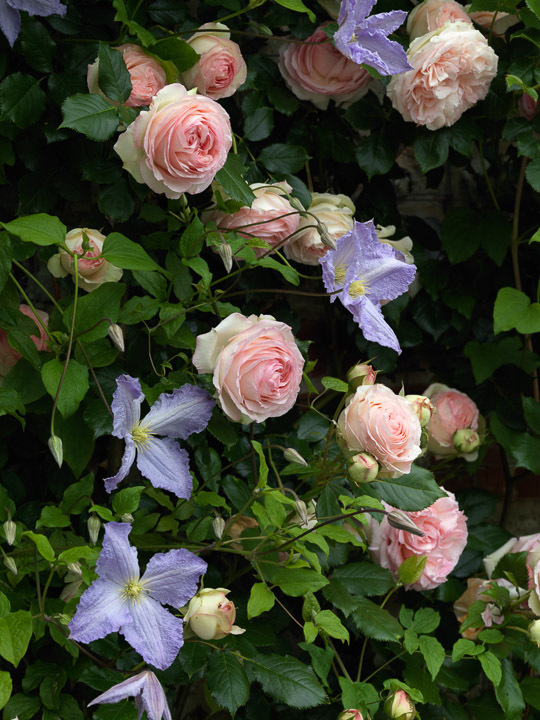 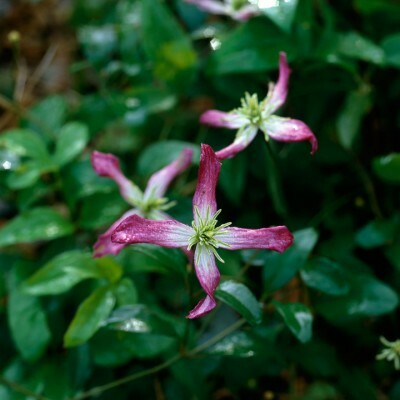 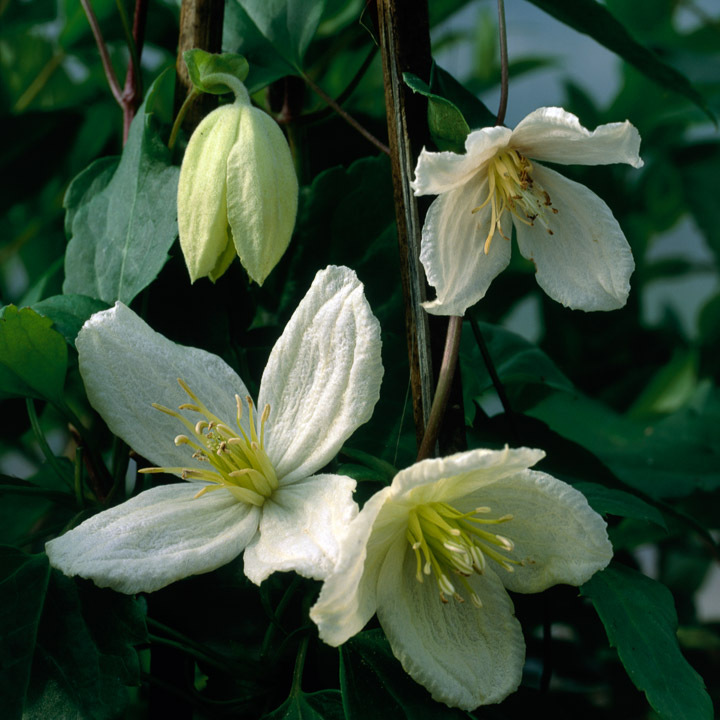 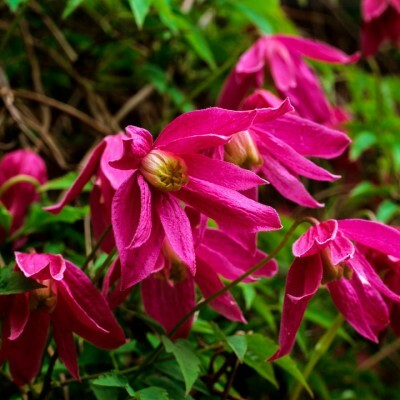 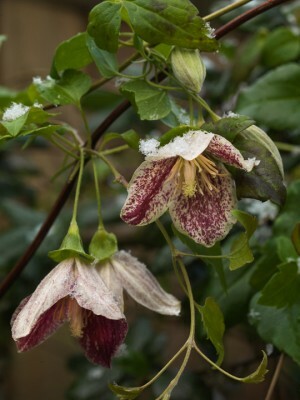 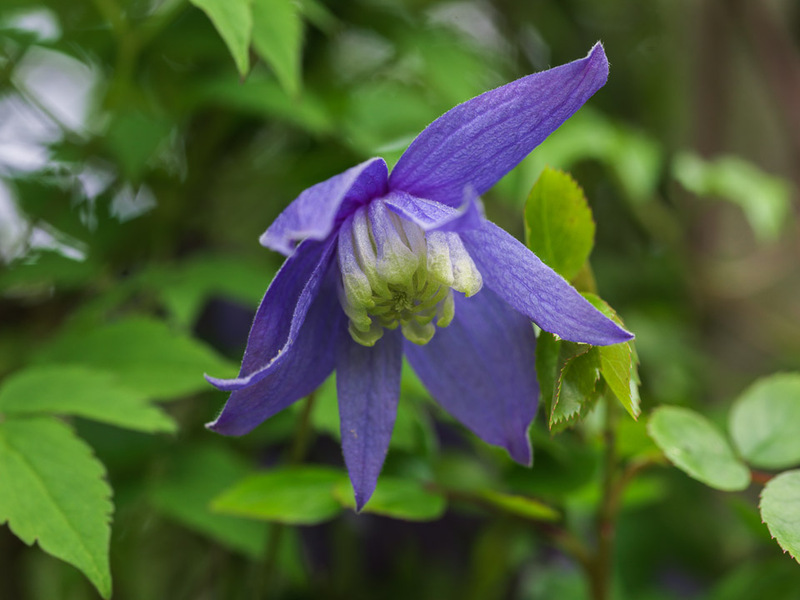 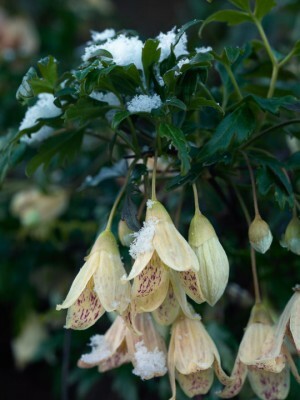 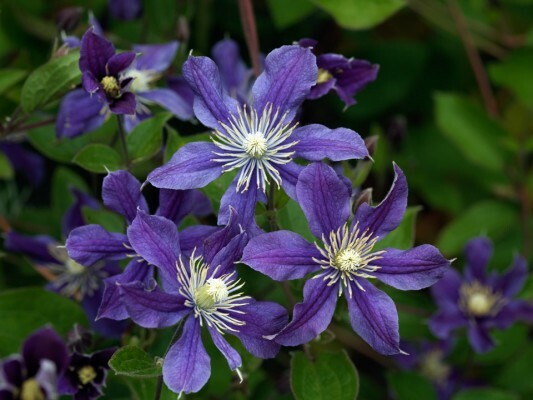 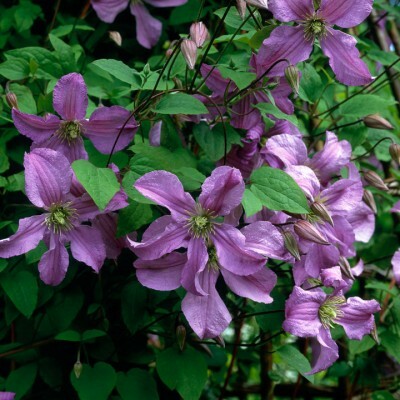 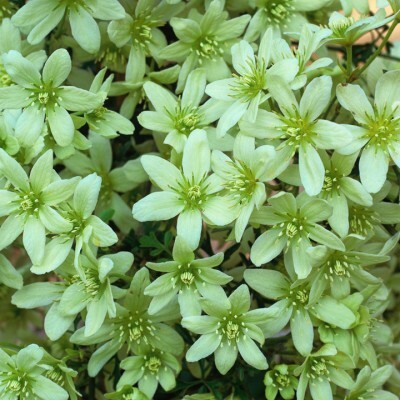 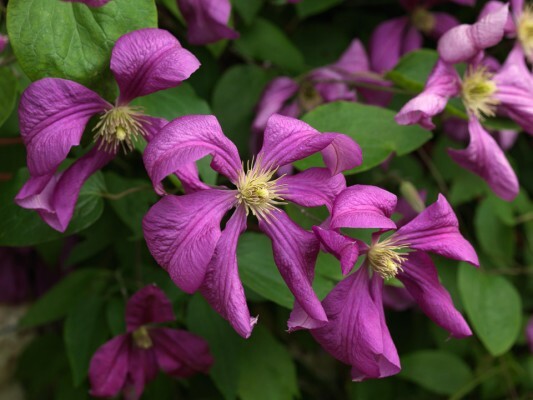 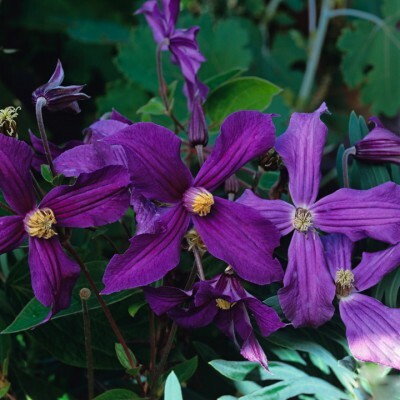 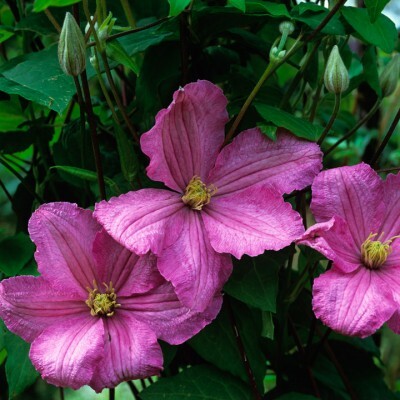 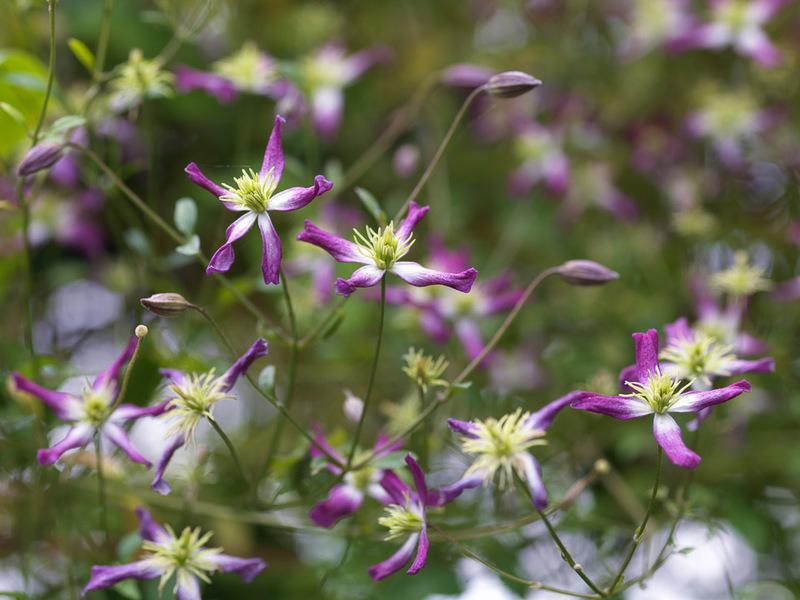 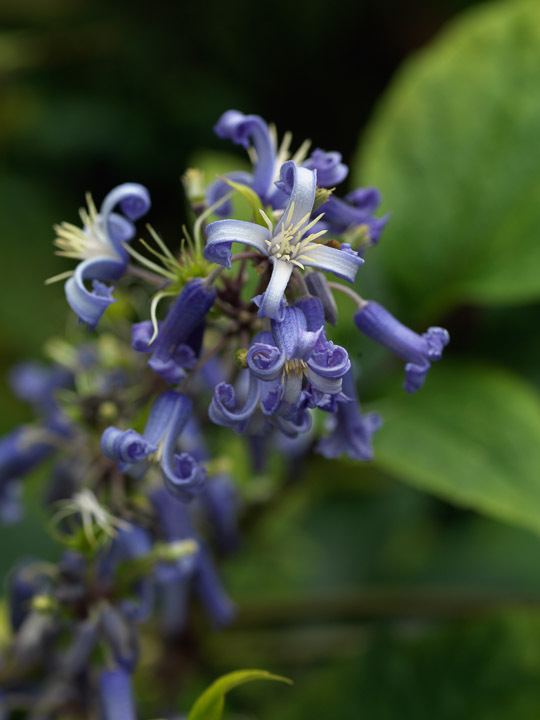 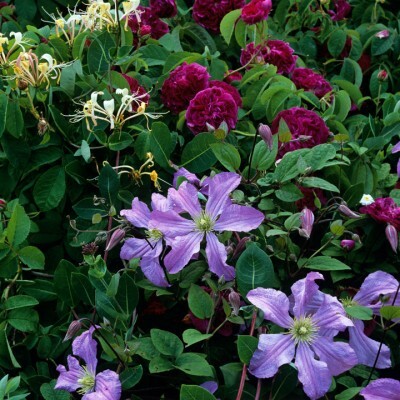 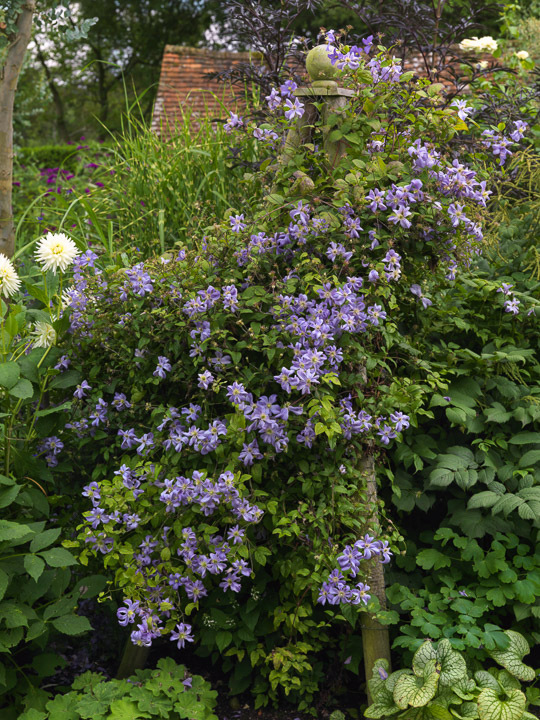 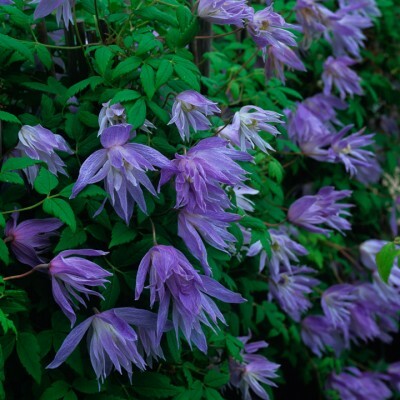 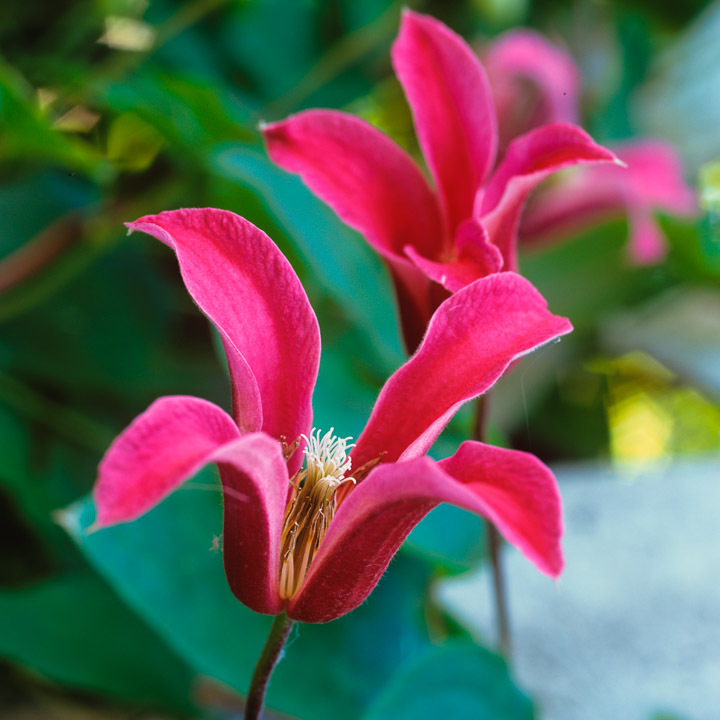 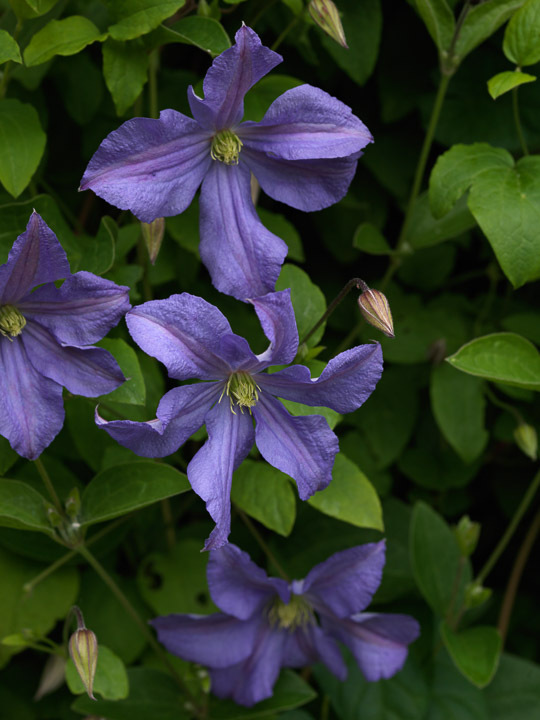 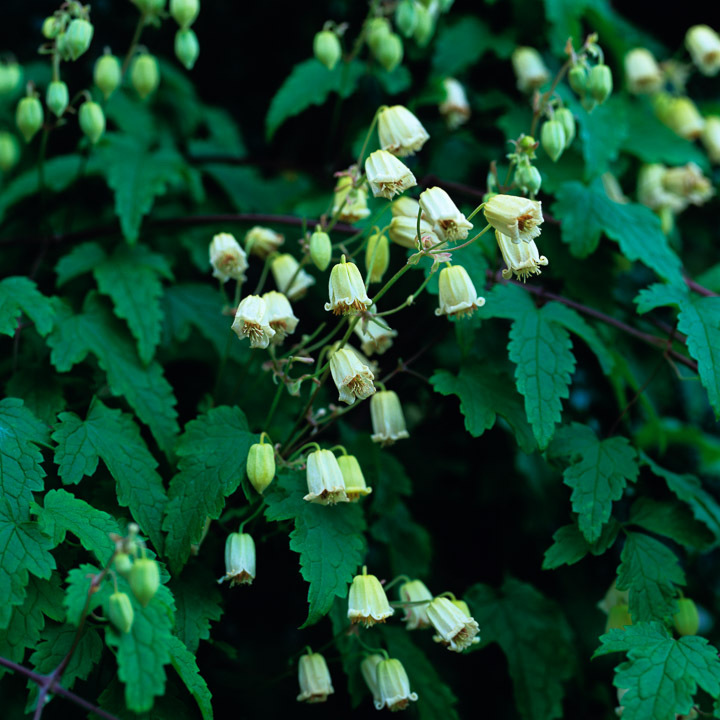 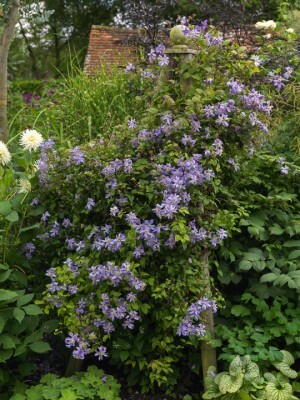 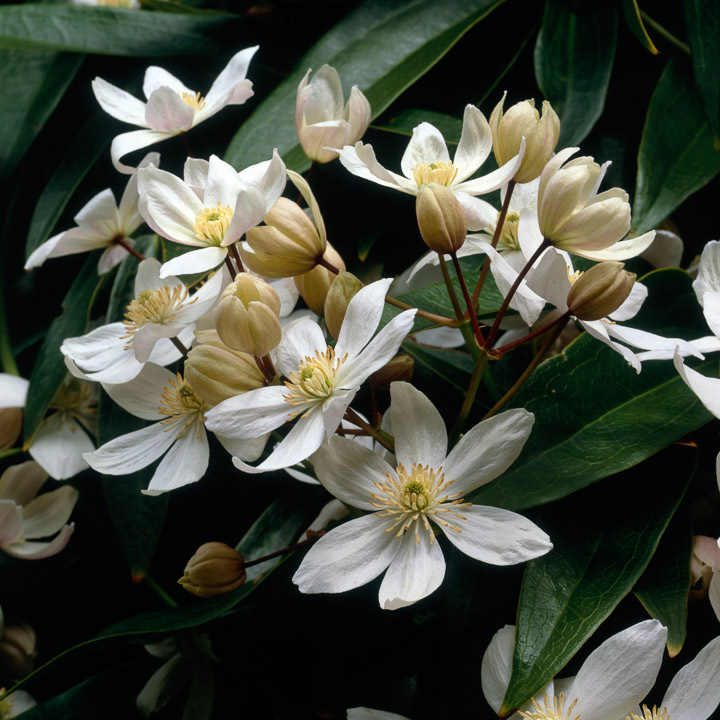 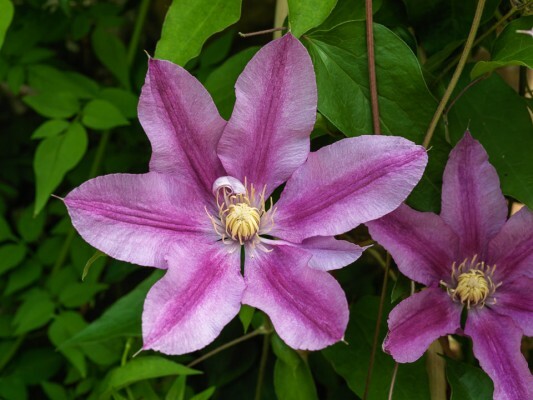 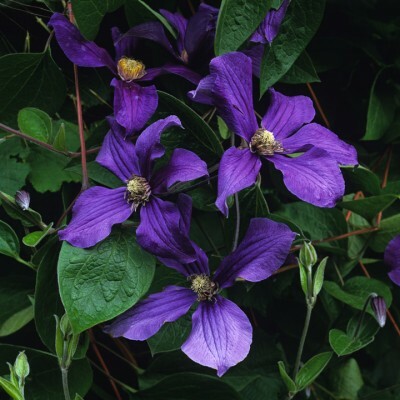 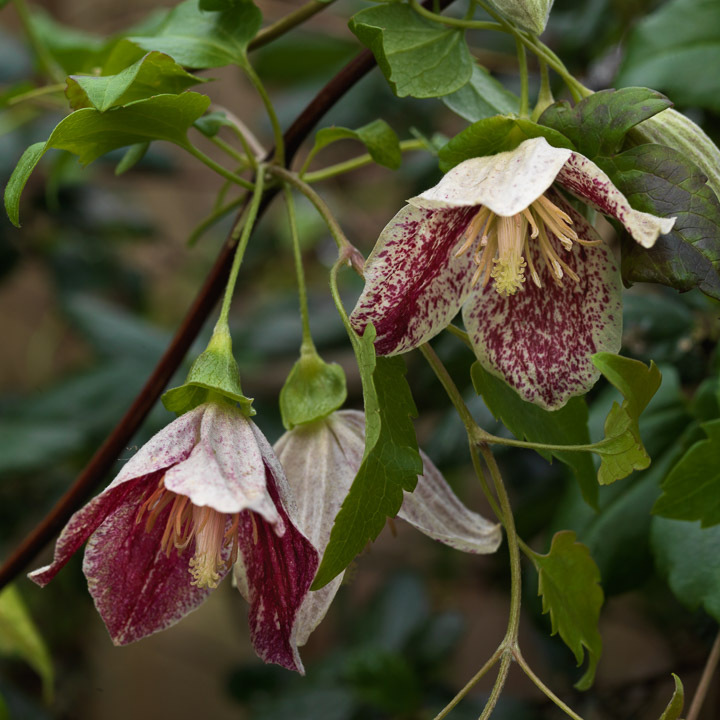 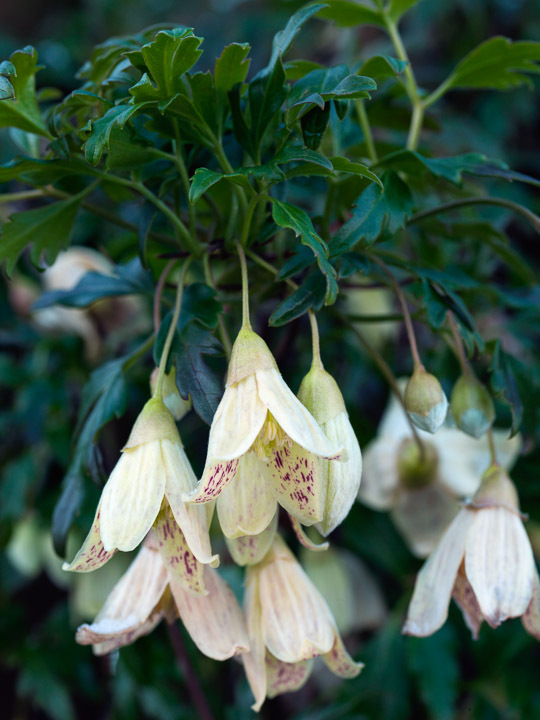 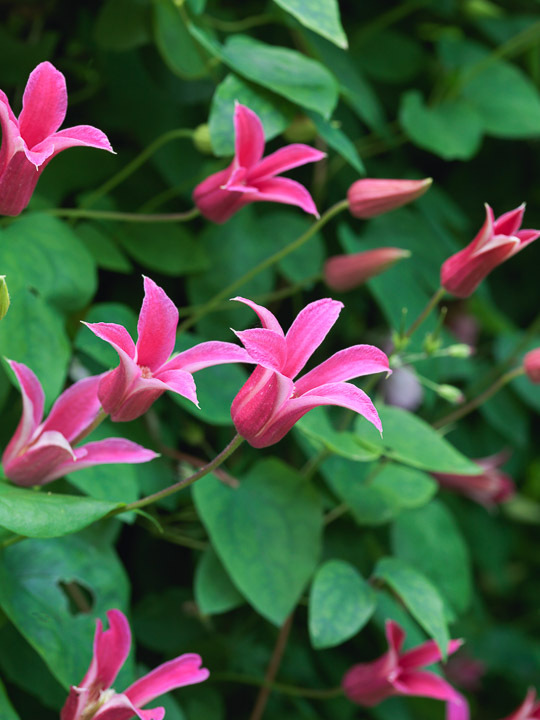 With more than 200 different species to choose from, there is a clematis to suit every garden situation. 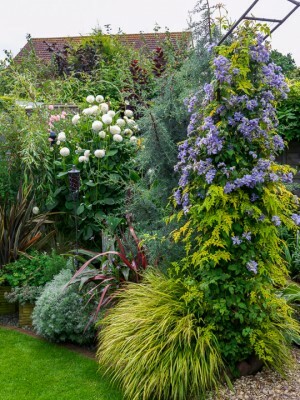 The most vigorous can be trained up trees, whilst the more delicate drape decorously over fences and low obelisks. 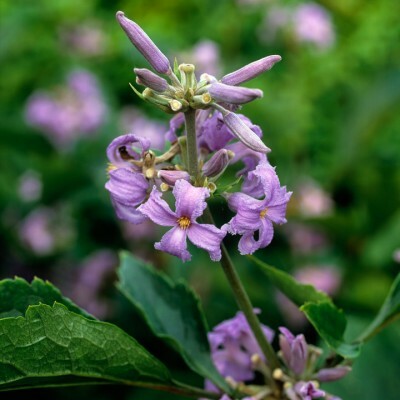 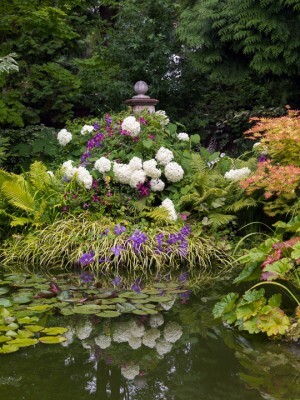 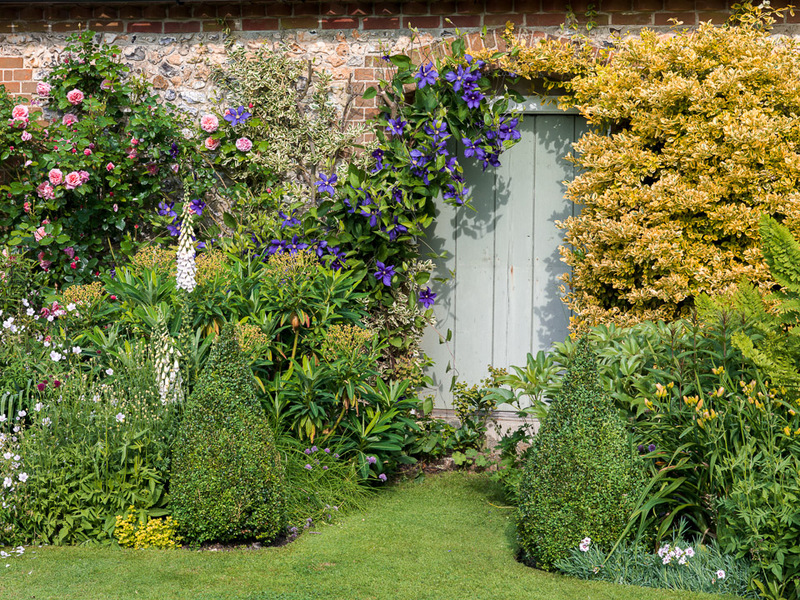 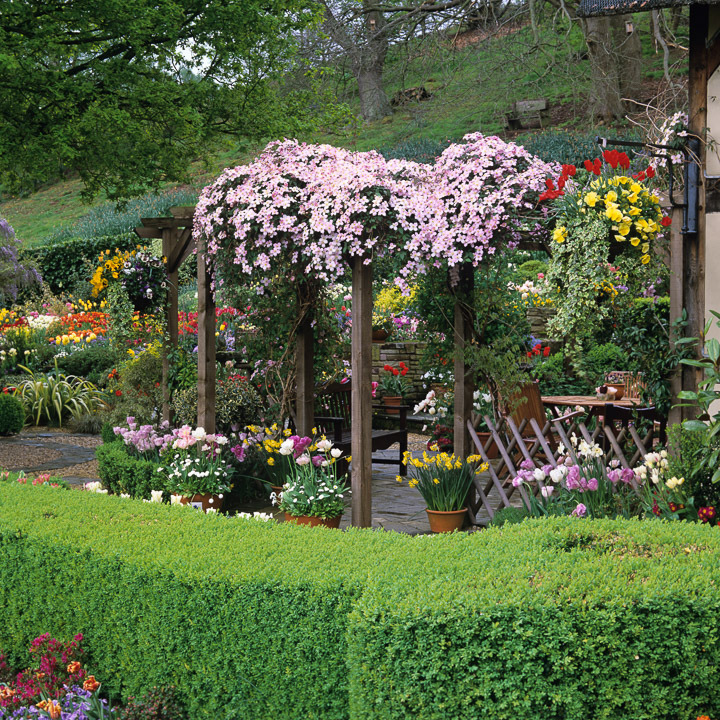 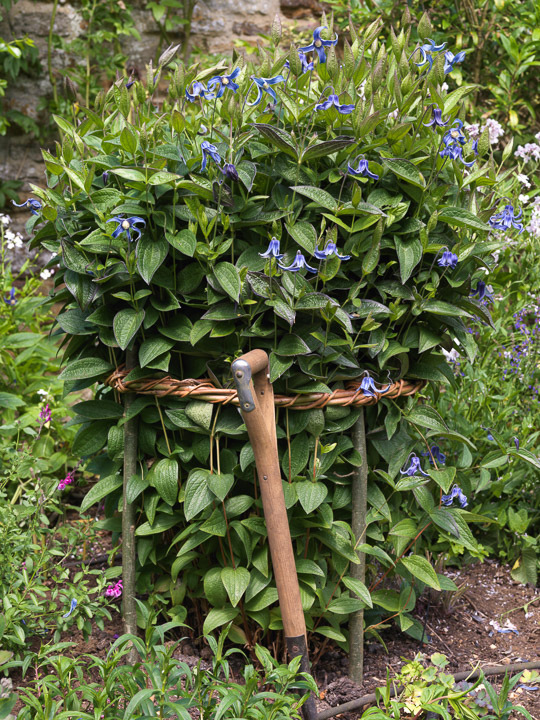 Herbaceous varieties clamber up supports to add height in borders, and there are even those that thrive in patio pots.